In total, since the end of last year, DHS has released about 133,500 border crossers and illegal aliens into the U.S.  a population more than double the population of Portland, Maine, and nearly triple the population of Galveston, Texas. Current data suggests that DHS releases more than 1,000 border crossers and illegal aliens into the U.S. every day. At current rates, DHS is on track to release nearly 415,000 border crossers and illegal aliens into the interior of the U.S. by the end of this year. The mass release of border crossers has coincided with a surge of illegal immigration at the southern border, where about one to 1.5 million illegal aliens, in total, could arrive in the U.S. this year at current projections. 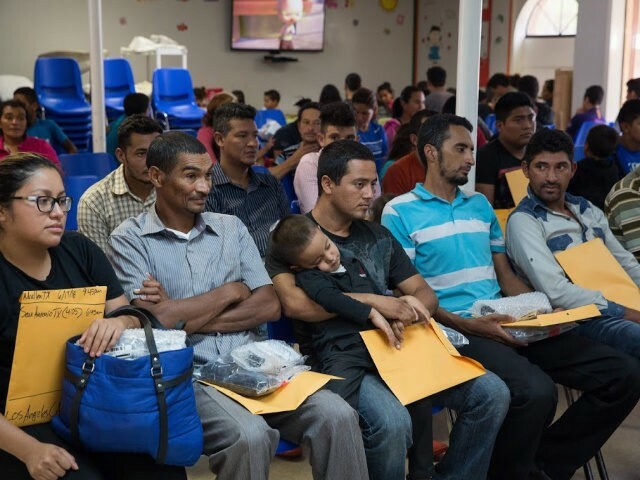 Some analysts project that there could be a surge of about half a million illegal aliens arriving at the southern border over the next three months. Sanctuary USA. Catch & Release. That's enough to make BP agents wonder if it's even worth trying, since the top dog is just going to release them in the US anyway. Why even bother trying to catch them? BP morale must be worse than ever under Amnesty Don. They've always had a problem with job retention and recruitment. Lots of them just quit the job. Bottom line: The numbers "caught" (and released) are only a small fraction of those illegal alien invaders who are entering the USA.